How to Have a Spotless Kitchen All. The. Time. 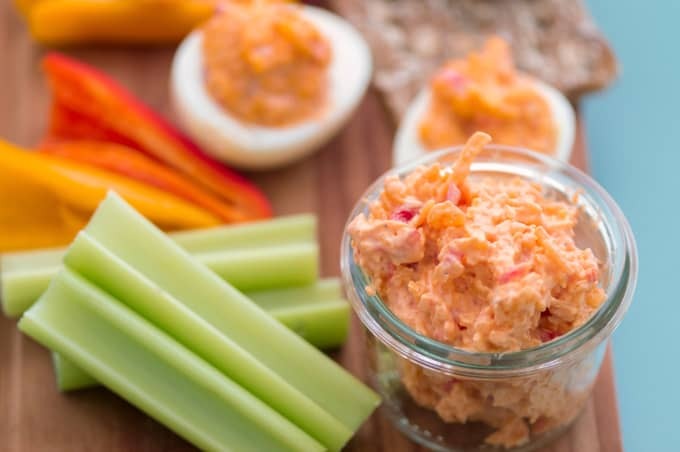 This Homemade Pimento Cheese spread is one of those foods I always have on hand. Many of my friends are surprised to learn that I adore it. Maybe, like them, you’ve seen neon-orange tubs of the stuff for sale at the store. Maybe, like them, you’ve even tried it once and weren’t too impressed. Unfortunately, I can’t have you all over to try my homemade pimento cheese as I’ve done with my friends. I’ve managed to convert them into enjoying it and even asking if I have any the instant they come over. Now you can make it yourself and fall in love, too. The thing about Homemade Pimento Cheese is that it’s so versatile. It’s excellent on healthy celery sticks, so you can feel a bit better about the fact that you’re snacking on a mixture of cheddar, cream cheese, and mayonnaise. On the other hand, if you’re eating low-carb, following the keto diet, or avoiding gluten, this will become your new favorite dip or spread! 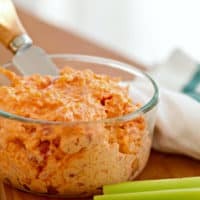 Try this homemade pimento cheese recipe spread on crackers — it’s great with easy Homemade Wheat Thins!. You can use it as a dip for veggies, a filling for omelets, or a bagel topping, too. Tired of deviled eggs? Replace the yolks with a dollop of this Homemade Pimento Cheese. Nom! And as a grilled cheese sandwich? Oh, baby. Words fail. Most homemade pimento cheese recipes call for a mixture of white and orange cheddar. I’ll let you in on a secret: orange and white cheddar cheese are the same things. Orange cheddar cheese is merely white cheddar cheese to which they’ve added annatto as a coloring agent. Whether I use fresh or jarred pimentos depends on the time of year. I grow a lot of peppers in my garden in the summer then turn the green ones into vinegar peppers while adding the red ones to homemade giardiniera. So, if I’ve got freshly-picked peppers, I’ll roast them myself. It’s easy enough to do, especially if you make the peppers ahead of time while you’re cooking something else. If you want to roast your own red peppers, I’ll start with that recipe then share my homemade pimento cheese recipe with you. Tinker with it as you will — that’s what makes Homemade Pimento Cheese so individual: everyone prefers a different flavor profile. 1. Wash and dry the peppers, leaving the stems intact. 2. Put them on a baking sheet in a 450° F / 230° C / gas mark 8 oven. Turn every 15 minutes. 3. When the skin has blackened all over, remove the peppers and immediately put them in a bowl with a tight-fitting lid. Let them cool — about 15 minutes — and the steam will loosen the skin. 4. Slip the skin off, pull out the stem, remove the seeds and slice what’s left. You’ll notice when slicing them that the peppers give off a lot of liquid. You can use that to thin the homemade pimento cheese to your liking or try adding it to a Bloody Mary. Yum! Homemade Pimento Cheese is a true Southern staple that’s perfect spread on crackers, piped into celery sticks, or even in omelets or grilled cheese sandwiches. ½ cup mayonnaise NOT Miracle Whip! Whip the cream cheese until fluffy. Add mayonnaise, cayenne pepper, garlic powder, onion powder, and hot sauce (if using). Fold the cheese and pimentos into the mayo mixture. Chill 20 minutes to allow flavors to meld. Nutrition facts are approximate and intended for informational purposes only. I am not a nutritionist. Any nutritional information is provided as a courtesy and should only be used as a guideline. If you have a specific health or nutritional concern, you should calculate the nutritional information yourself or consult your physician or certified nutritionist. If you’re wondering how long homemade pimento cheese lasts, the answer is up to a week in an air-tight container in the refrigerator. Keep in mind, however, that since it contains mayonnaise, you should not leave it sitting at room temperature for more than two hours. If you don’t plan to consume the entire recipe in that time, it’s a good idea to just scoop out what you plan to use and leave the rest in the refrigerator until needed. Thanks for the recipe. I think I’m going to make this using a bag of preshredded cheese blend I have on hand. 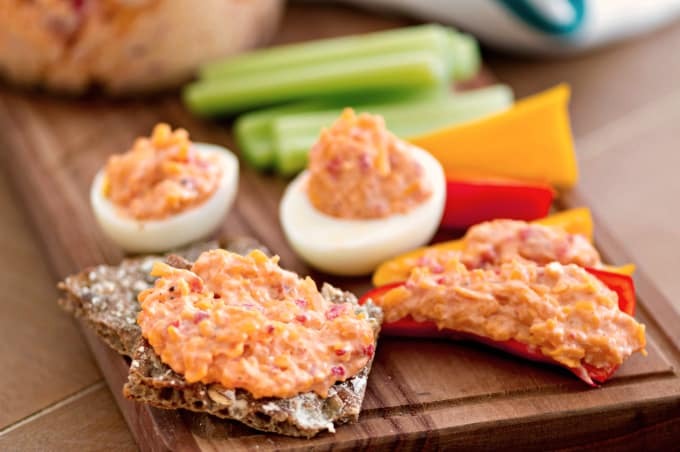 We love Pimento Cheese and this is a great recipe! Thanks so much for sharing your post with us at Full Plate Thursday. Have a great week and come back soon! Thanks for this. I have been looking for a good recipe for some time. I hope all is well. Thank you. I hope you enjoy it! About freezing for later: would freezing the cheese and pimento mixture leaving out the mayo and the cream cheese and adding them in later work? So glad to have found your recipe for pimento cheese, an old southern favorite of mine, but I always have more left over than the two of us can finish before it goes bad. Thanks so much. That sounds like it would work, Carol. 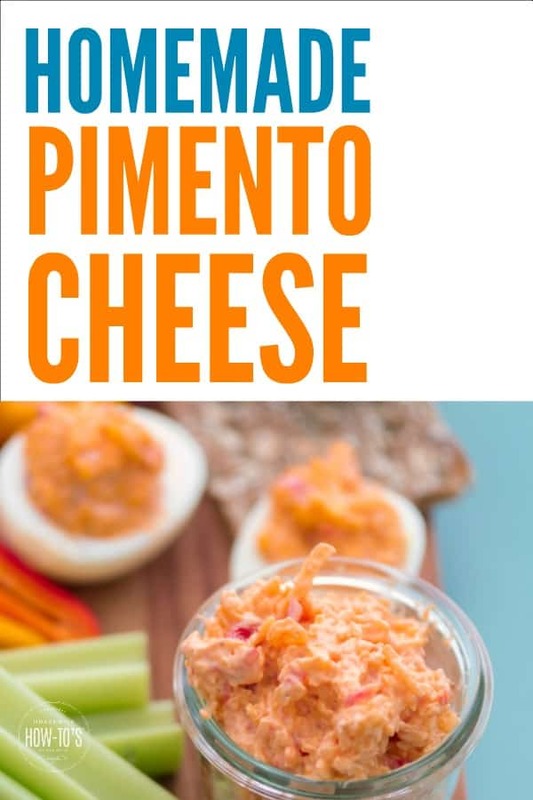 Plus, doing it your way, you could make a huge bag of it to keep in the freezer to combine with mayo and cream cheese so you can have pimento cheese any time you like! Miracle Whip is much sweeter than mayo, so it will dramatically change the flavor of this recipe. Of course, you should definitely use anything you prefer then adjust the rest to suit your tastes. 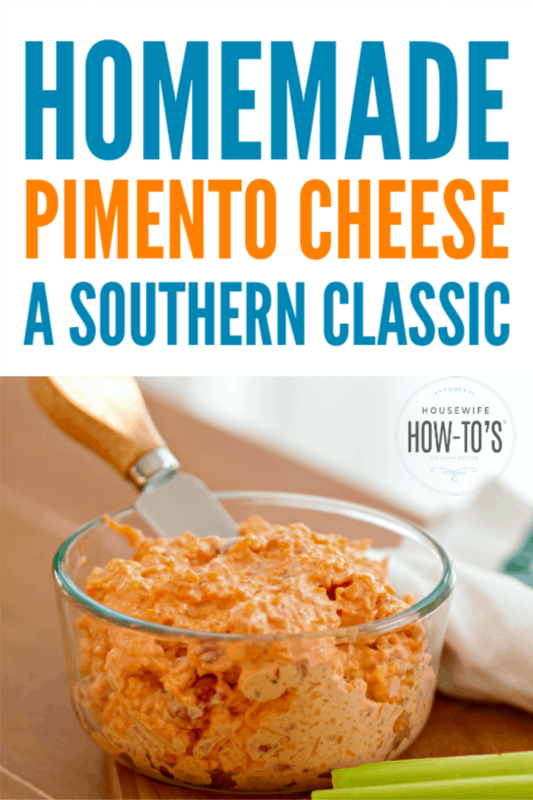 Hi Katie B – I’m enjoying your pimento cheese recipe. I roast my peppers on a burner on my stove using tongs. I’ve been doing it for years with Anaheim chiles. My only addition to your recipe is 1/4 tsp of cayenne for a little kick. Thanks, Allyn. I do have 1/4 tsp. cayenne in there. I like a bit of kick, too! Yep the cayenne pepper IS listed right in the recipe!!! This is my go-to recipe for Pimento Cheese. The. Best. Nom! I’m so glad you like it, Margi! I’m roasting extra red peppers on the grill tonight so I can make a big batch of this. Been craving it for days! Come on. That disgusting cockroach graphic has to show up even on a recipe page? I understand that it’s probably a recent post of yours, but that graphic doesn’t need to be there, even on the actual post. It’s awful. Would you like cheese with your whine? If this is how you treat your readers….I’m bookmarking this page and will check regularly. Great recipe, I’ll be making it as soon as the peppers are done roasting. LOL. I don’t think I’d ever seen that person comment before or since. Enjoy the Homemade Pimento Cheese! LOL There used to be a picture of a cockroach on my sidebar that linked to my entry about DIY Roach Killer. Apparently, it deeply disturbed Chris. At some point I’ll have a paperback out, but it’s going to be a while. My husband is going in for another brain surgery this week, and I’ll be busy caring for him afterward. Maybe a month or so.